Hey, KD, please explain. Thought the document in question was for a Catholic school. How do they know this was Obama? He also lied on his bar application about drug usage. 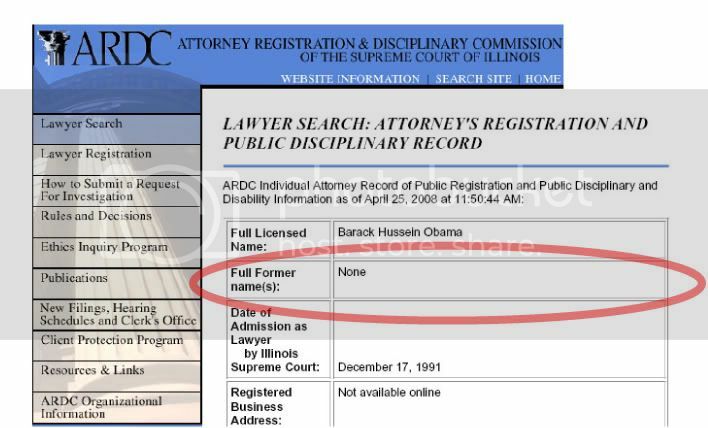 I imagine he’ll pull a Bill Clinton and claim that he didn’t technically have another name, as his legal name remained Barack Hussein Obama, and that his name “Soetoro” was a legal alias. Then he’ll say that his critics are racist. I’m totally confused now. Was his birth certificate fake or was his named changed twice? 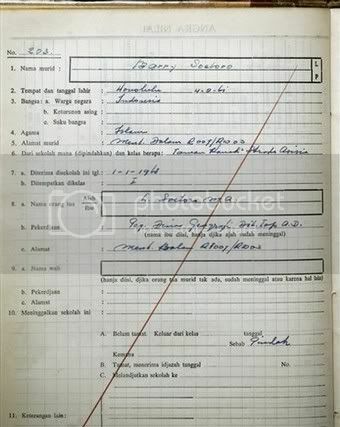 Gee, I dunno, how many kids named "Barry Soetoro", claiming to have been born in Honolulu, Hawaii, on August 4, 1961, could there have been in the nation of Indonesia, in the late 1960's? Is MSM dropping the hot muzzie falafel? Is Hildegarde’s War Room behind this? We need a Tolstoy for these existential questions! It was a Catholic school that also accepted Muslim students. Barry Soetoro was registered there as a Muslim, and studied he the Koran there under a Muslim teacher. Chasing rainbows are we. What was the haloed one 6, 7 years old when he was enrolled? He didn’t enroll himself. My mother could have enrolled me as John Jacob Jingleheimer Schmidt in first grade and I’d never know if she changed it back later. Let’s stick to his record, his proposals, his gaffes, and his arrogant sense of entitlement. He’s on hilary’s plantation I’m telling you. No I’m asking the obvious question. Will take more than a coincidence to get any traction. IMO he’s not a citizen but nobody in a position to do anything seems to care. But, But BO said he never was a muslim.